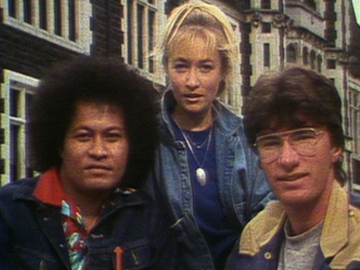 This episode of C4's music series Homegrown Profiles looks at the 30 year career of singer/songwriter Dave Dobbyn, whose songs are mainstays of the Aotearoa soundscape. Dobbyn talks about nerve-wracking early days with th' Dudes, where the name for band DD Smash originated, and his long solo career. In a wide-ranging and thoughtful interview, Dobbyn discusses the highs and lows of a life in music, including the mayhem and causes of the 1984 Aotea Square riot, being told his best album was unreleasable, and the satisfaction of writing the Footrot Flats soundtrack.